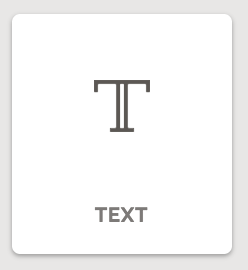 Text is an element component. Like all components in Landing Lion, you can add, edit, duplicate, and remove a text component to any page or page template. To select a text element, the Selection Tool must be set to "Auto" or "Element". There is no limit to the amount of text you can add to a page. By default, text is set to be paragraph - <p>. Your paragraph font size is set in your Page's Theme.